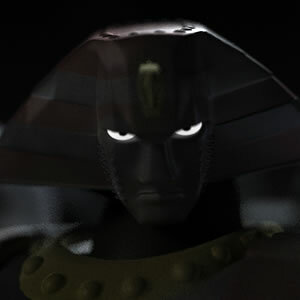 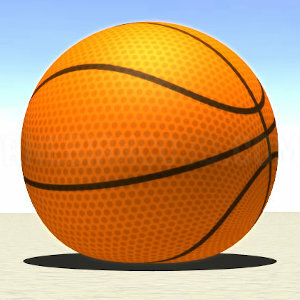 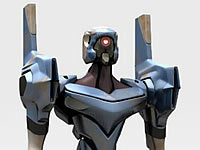 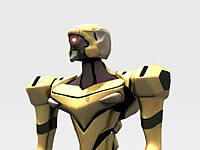 modeled from october 2001 and september 2003, it has been realized completely in Lightwave 3D 7.0 using a sub patches solution. 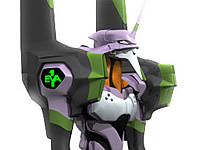 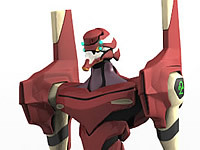 In fact, Evangelion units are "robots" with strongly human movements and posture, I've realized an Evengelion 3d model that I can rendered with variable details. 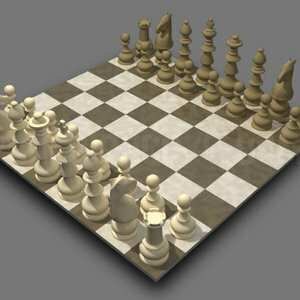 Actually I must realize all texture (images have only some simple shaders). 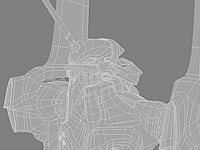 Viewing a picture of this enemy, I think that I'll modeled it with no difficulties... in fact, after 1 hr I've realized the 3d model and its textures. 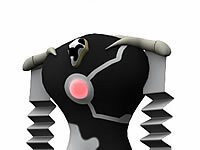 However, this Angel is incompleted: I must complete some objects on the knee and on the shoulders. 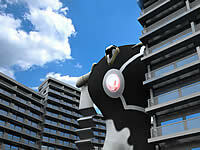 (Thanks a lot to my Japanese friend Hisa who have email me these beautiful images). 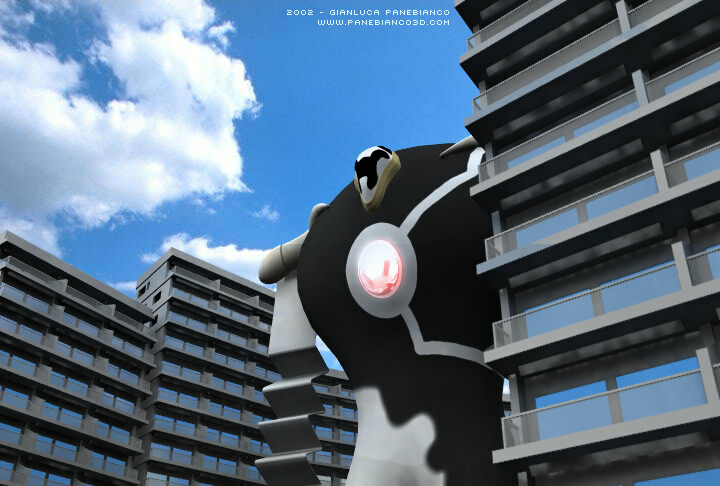 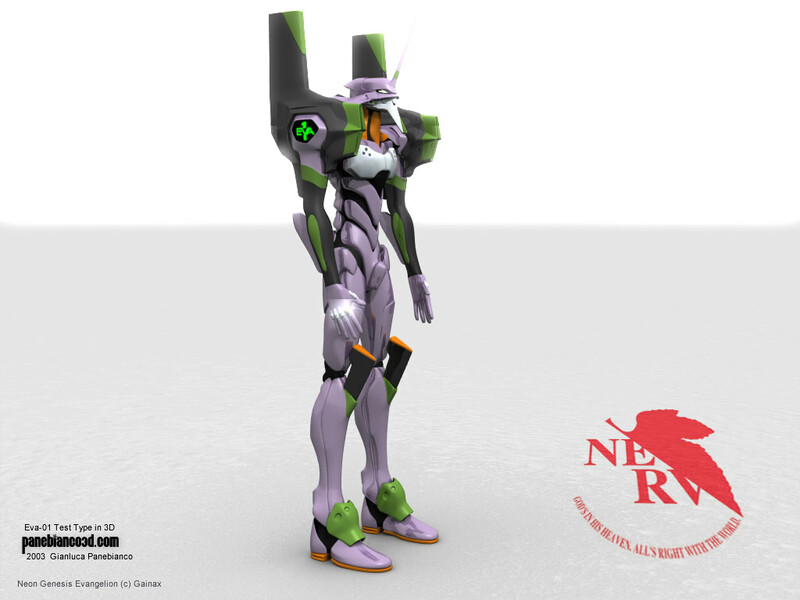 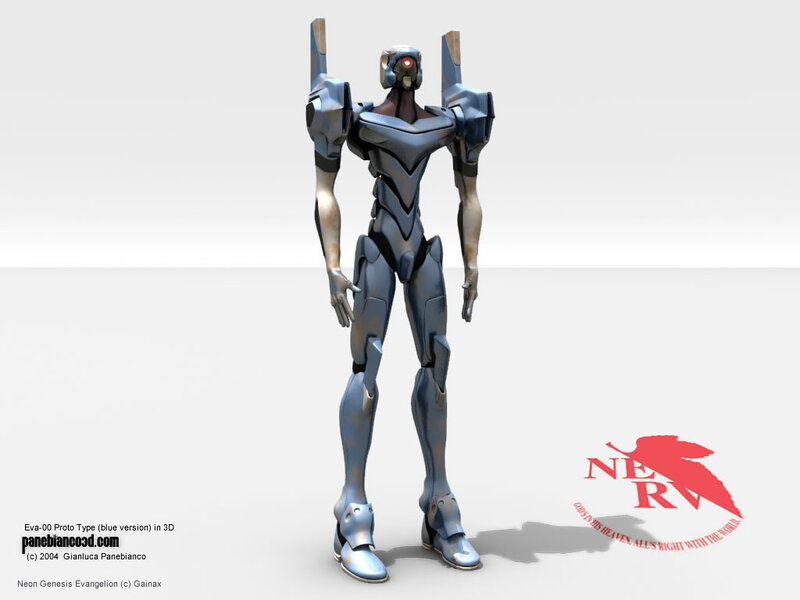 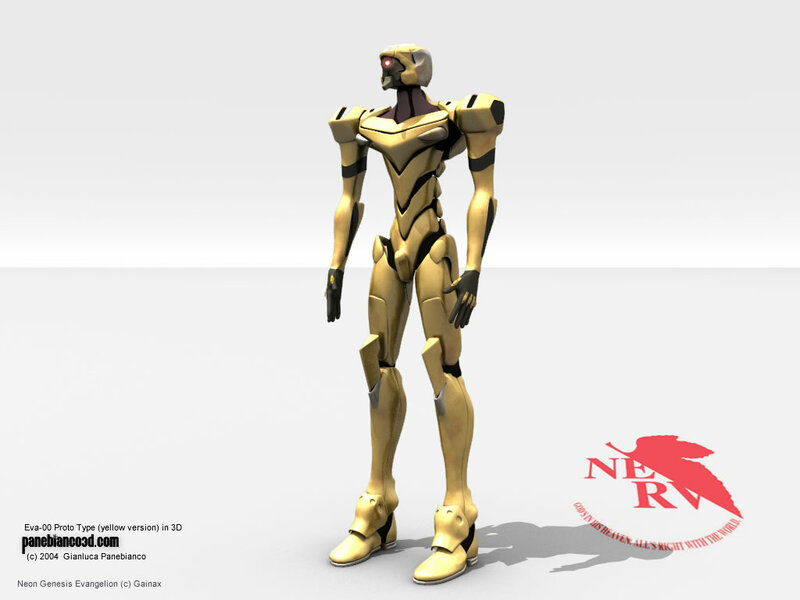 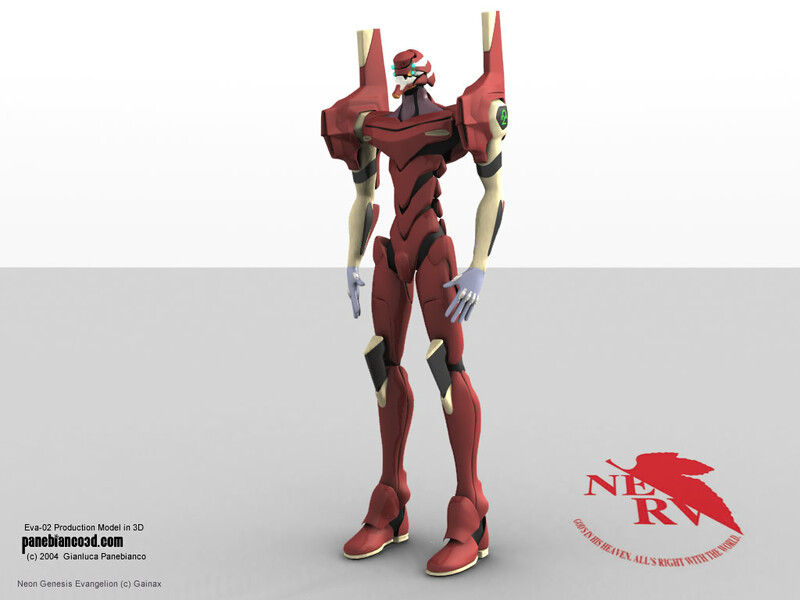 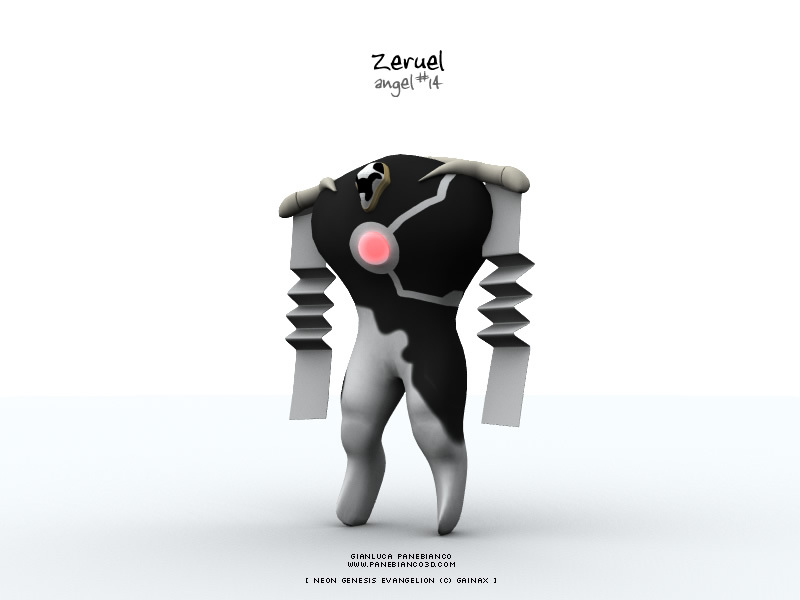 To model my Evangelion in 3d I used blueprints, and also a real model, taken from an online store: there's a lot of sites where you can find it, and fortunately many brands who produces Evangelion models, with variable prices. 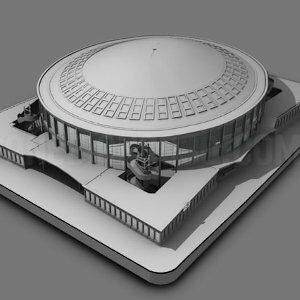 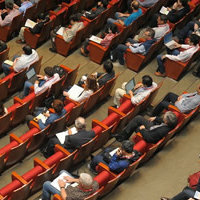 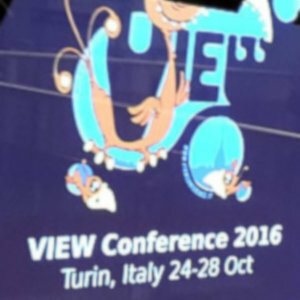 Probably I'll prepare a new article to show best models to buy online (with prices).